The main train station is “Pescara Centrale”. Once there, take the bus number 21 and get off at the stop “Ex Caserma di Cocco”, corner of Via Marconi and Via Pepe. For the busses’ timetables, visit the web site of the bus company in Pescara Gestione Trasporti Metropolitani. From Abruzzo International Airport, you will need to take a Taxy to the park “Ex Caserma Di Cocco”, or take the bus N. 38 to Pescara Train Station, and then the bus N. 21 getting off at park “Ex Caserma Di Cocco”, corner of Via Marconi and Via Pepe. The park "Ex Caserma di Cocco" is in Pescara Sud (Pescara South), in an area called "Portanuova". 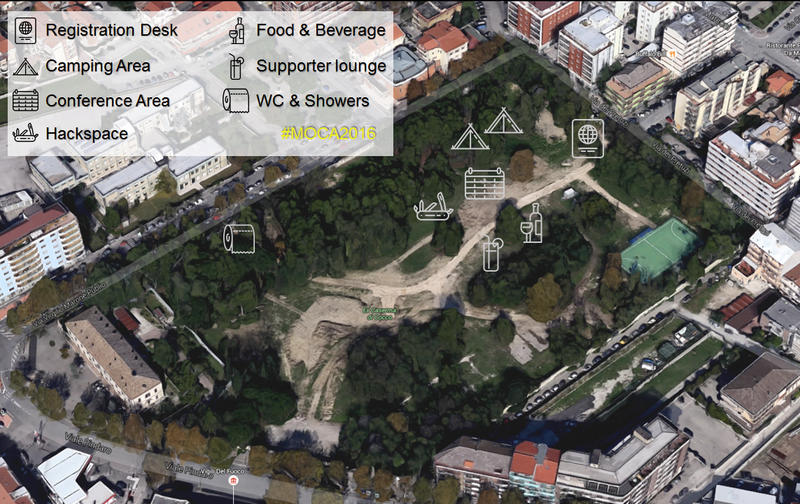 MOCA will use the EAST entrance to the park, in Via dei Petruzi, a street that runs parallel to "Viale Marconi" (where Bar Sport is). The bus stop (line 21, Viale Marconi/via Pepe) is very close to the entrance. For the busses' timetables, visit the web site of the bus company in Pescara Gestione Trasporti Metropolitani. 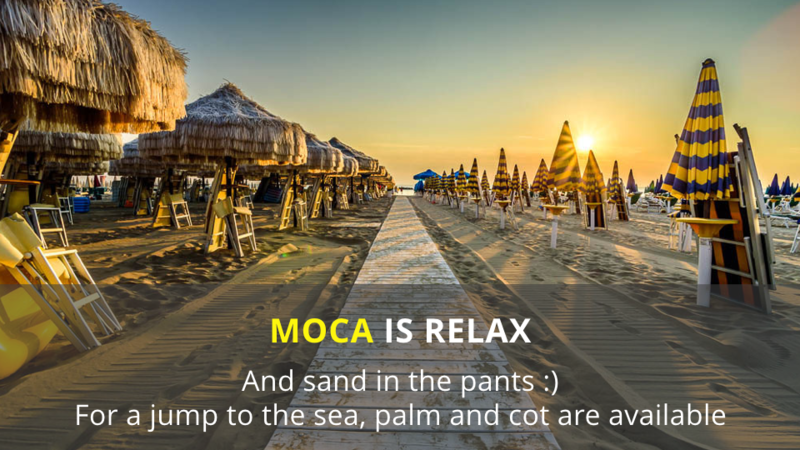 MOCA is a free hackers camp. All amenities are totall free, to facilitate a nice holiday focussed on knowledge and exchange of information. Campers will have access to power, showers, bathrooms and wired/wireless internet connectivity free of charge. Please consider donating if you are coming! Camping will be available under the centenaries trees in the park free of charge. In order to get organised, we ask campers to register using the camping form in this site. Each camping spot is about 3m X 3mt, enough for a small 2-3 people tent (eg. Quechua 2secondsIII/AIR). If you need more space, please write to us before the 9th of August so that we can organize a bigger spot. Tents, camping mattresses and insect-repellant sprays are not included. We have limited camping spots: if they run out, we will assign them on a first come-first served basis. It will be possible to camp at the park from Thursday 18th August (if you do, please give us a hand getting things ready!) till Sunday 21st August (helping out with cleaning up!). if you want to become a Daemon, and volunteer some of your time to help out, please contact us! 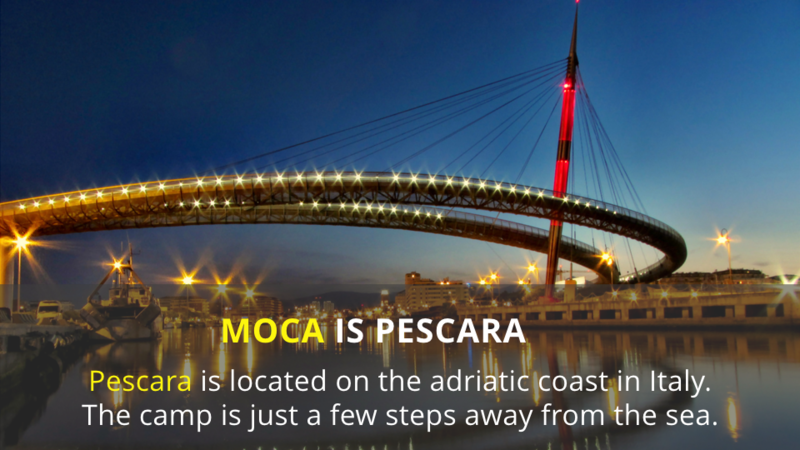 Price agreement with MOCA for the 19th, 20th and 21st of August. To get the special price, please [register] using the form you will find on this web site. We will send you an e-mail which will allow you to stay at Hotel Holiday with a discount. You will need to book as soon as possible. To get the discount, you will need to register: the reply you receive from us will make you eligible to get the discount. The Abruzzo region is famous for "Arrosticini" (skewered sheep meat), fish, "Pasta alla chitarra" (special pasta) with porcini mushroom and truffle, perorino cheese (made with ewe's milk), "Parrozzo" (a typical Italian cake), confetti, extra-virgin olive oil, and the not-to-be-missed wine Montepulciano D'Abruzzo. 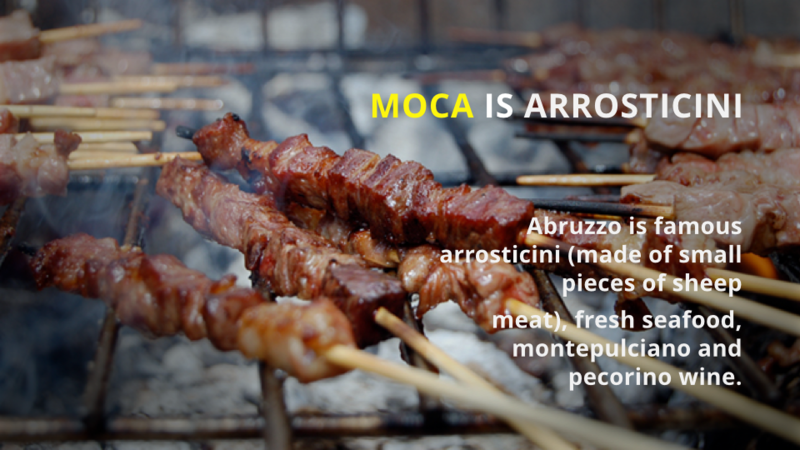 During Moca, on the camping grounds, professional catering will be available, offering many of the typical foods of the region. There will also be a well-stocked bar with snacks and beverages. For those who would like to eat outside the event's grounds, we have made deals with restaurants in the area. Please ask for details at the information box when you register. Since day 1, Moca has been made possible by its participants: if you chose to help by sharing your research and your knowledge, you will help us make the event a success. We will be able to offer better services, which you will be able to use yourself once you are here. 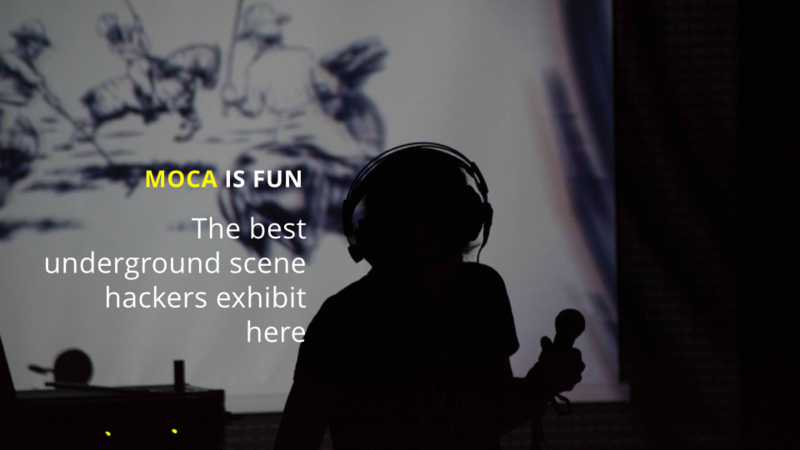 MOCA is run by volunteers: please have a sharing, helping and responsible attitude -- and have fun! In the camp's grounds there is a water fountain with drinking water. For other drinks, there is a bar. for safety reasons, fire or portable stoves are not allowed in the event's ground. In the undercover areas, there will be Italian and Schuko power plugs (230V), free to use by all participants. We recommend everybody bring their own extension cords as well as power boards, which will likely prove immensely useful.